Ultimate Sports Insider: Daily Fantasy Sports and Intercollegiate Athletics - Part 1 - Are Daily Fantasy Sports Gambling? Daily Fantasy Sports and Intercollegiate Athletics - Part 1 - Are Daily Fantasy Sports Gambling? The explosion of Daily Fantasy Sports (DFS), fueled by industry leaders DraftKings and FanDuel, has become a hot topic within intercollegiate athletic circles prompting significant questions and areas of debate. Is it or isn't it gambling? Does it erode the integrity of college sports? Could it effect student attendance at events? Could DFS be a solution to athletic department budget concerns? What does the future look like regarding the issue? This is the first in a series of articles addressing each of these questions. In this installment, UltimateSportsInsider.com addresses the question "Are Daily Fantasy Sports (DFS) gambling?" It isn't hard to develop a coherent argument on either side of this topic. The answer depends on who you want to view as the controlling legal authority. DFS website Rotogrinders provides a clear and simple overview of the issue from a legal standpoint, based around the 2006 passage of the Unlawful Internet Gambling Enforcement Act (UIGEA). The UIEGA specifically carved out an exemption around fantasy sports, albeit at a time when the activity was far less popular and less automated via computer. It was intended to avoid turning stat obsessed "fantasy geeks," college fraternities and sports junkies into criminals. But the law of unintended consequences is an amazing thing and some entrepreneurial people exploited a loophole to establish a multi-billion dollar industry seemingly overnight. The legal language that makes DFS permissible (outlined in the above referenced link) is well thought-out and DFS fits each of the criteria that make it legal in most places. The NCAA has quickly taken a position on the matter consistent with its previous stances regarding sports related gambling. The Association unequivocally considers Daily Fantasy Sports to be gambling and has a zero tolerance approach to the activity. 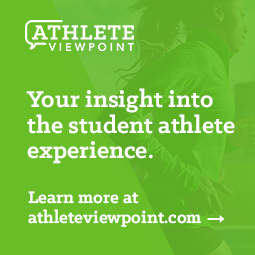 As such, student athletes and athletic department staff members are prohibited from engaging in the activity if they have to pay any type of entry fee to participate and if it involves a sport that the NCAA sponsors. So, are Daily Fantasy Sports gambling? The simple answer is yes, especially when you define it using a more relevant term, "wagering" - simply defined as betting on the outcome of an external event(s) - in this case the aggregated results of a number of external individual performances. But it is a legal form of wagering in many places due to the UIEGA. If you are considering engaging in the activity, ask before you act, and check with your NCAA compliance coordinator and/or attorney. Failure to get proper guidance about what is and isn't permissible is definitely a gamble that can put athletic eligibility or a career at risk. What do you think? Is Daily Fantasy Sports Gambling? Share your thoughts in the comments section. Next: Do daily fantasy sports erode the integrity of college sports?